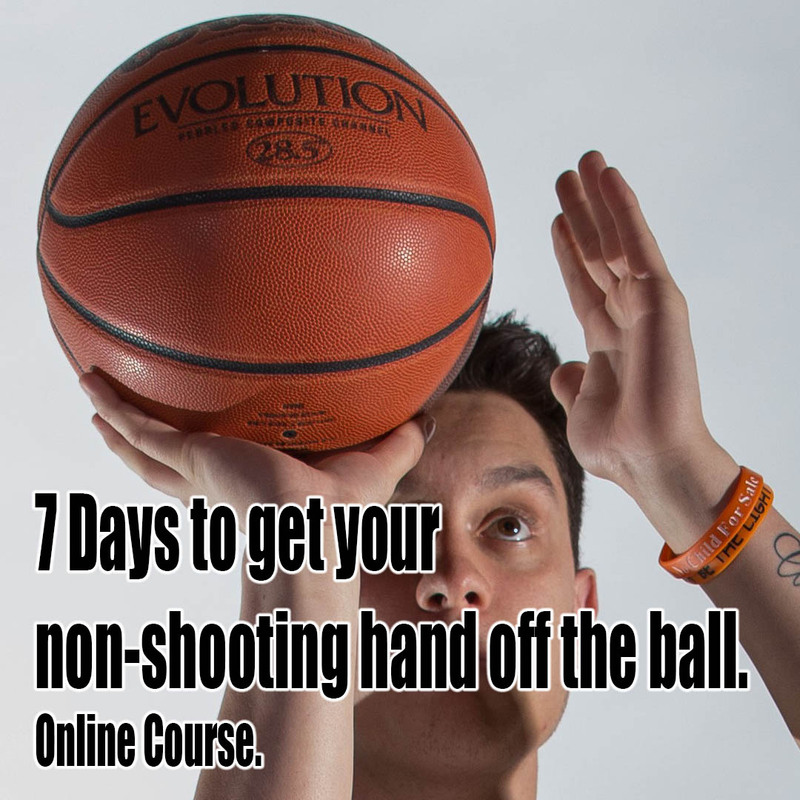 NBA Shooting Coach Dave Love takes you though 7 days of drills and teaching points to help you to stop overusing your non-shooting hand. This habit plagues every young player early on in their career but needs to be broken to become a knock-down shooter. Over the course of one week, you will learn how the position of your shooting hand is really the key, and how progressing slowly will help you get a get a better shot without relying on your non-shooting hand. 25+ videos of tips and drills available on all your devices. As a 20+ year middle school coach I found myself wanting to be more proficient teaching shooting. This course by Coach Love really simplifies that process. As a coach I am a firm believer of simplicity and there are many simple concepts in this course can build solid habits in players. The fact that it breaks down shooting to the smallest of compounds is what I love most about the course. As the title suggests the importance of the non-shooting hand off the ball is the one concept all shooters especially young ones seem to have the toughest understanding of. If you are looking for a video with simple concepts that are easy for players to grasp I highly recommend this one, you will not be disappointed. Thank you so much Coach. I'm glad it is helping your team! I am a father of 3 boys, coach in community leagues and active men's league player. I found this course to be fantastic for all skill levels to not only understand the fundamentals but to gain a comprehensive detailed explanation through the videos of what exactly is being taught through demonstration and repetition. Coach Dave walks you through the details and then shows you how to best practice and retain these new skills. I am happy to recommend this course. Outstanding program :). I like how you approach this issue with first creating more stability and balance on the shooting hand and then slowly introducing drills that forced the shooting hand to develop a better pocket for the ball to sit in. It makes such a huge difference. The 3,2,1 and the tap, tap, tap and then no thumb and abc shooting....all of those drills are prerequisites to the stepping into the abc shooting and slow to quick. It’s brilliant because if you skip steps then you’ll end up having to back track and relearn those first drills because you cannot cheat the grind. It definitely takes lots of patience, dedication & discipline. I’ve been working on it for about 2 1/2 months now and I’m only to day 4. I didn’t want to rush any of the steps....especially because I cherish that aspect of shooting so much....to be able to gracefully lift the shooting hand away from the ball on the release. It’s an art that I definitely want to continue to perfect. Thx so much coach Dave. Keep doing your thing. Shooters def appreciate the details 🙏🏾. Wow! Great to hear that its helping you so much! I love that you are being so patient!